STAR WARS: GALAXY'S EDGE - Summer 2019! Contributing photographer Jason of disneygeek.com sends us his photos and observations on the new Matterhorn Bobsleds queue configuration at Disneyland. 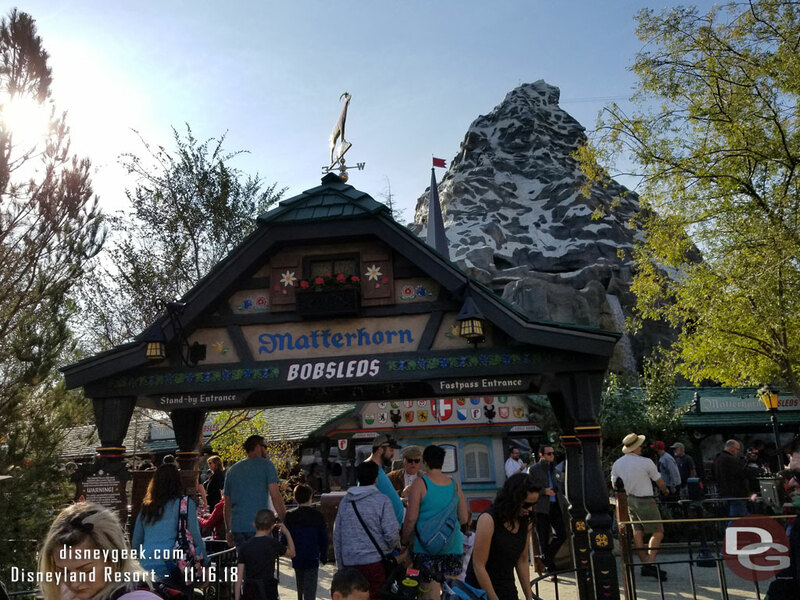 On Friday November 16, 2018, the Matterhorn Bobsleds returned from renovation with a new queue entrance and a series of switchbacks for the standby queue on the Tomorrowland side. 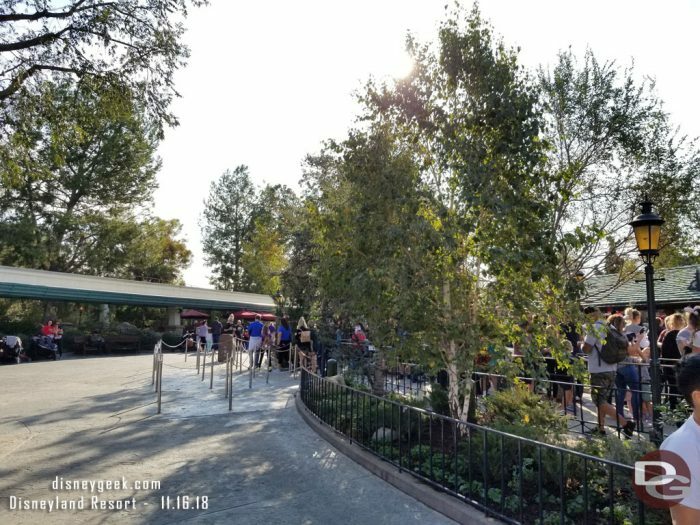 The planters in the area were also shrunk and reconfigured to accommodate this change and ease guest flow through the area. FastPass and single rider queues are also available. Some additional nighttime lighting was added. 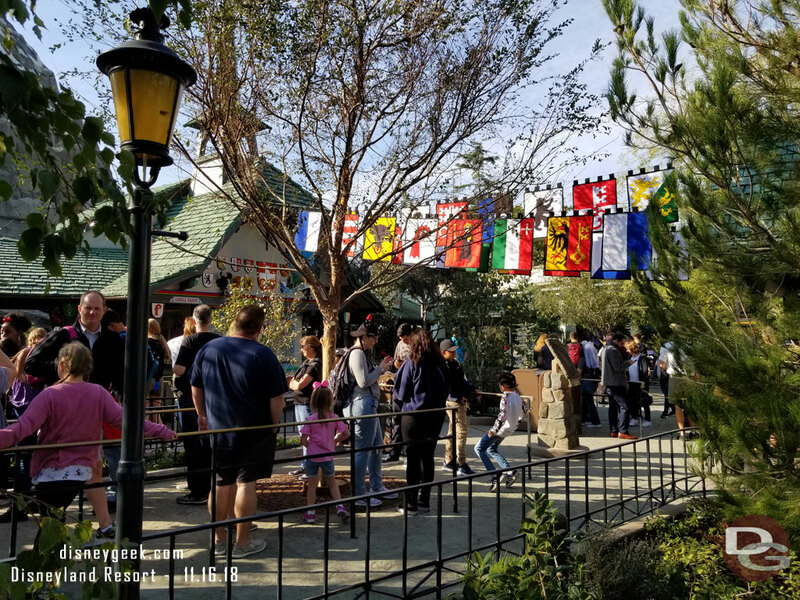 Hope you enjoyed this highlight from my trip to the Disneyland Resort. 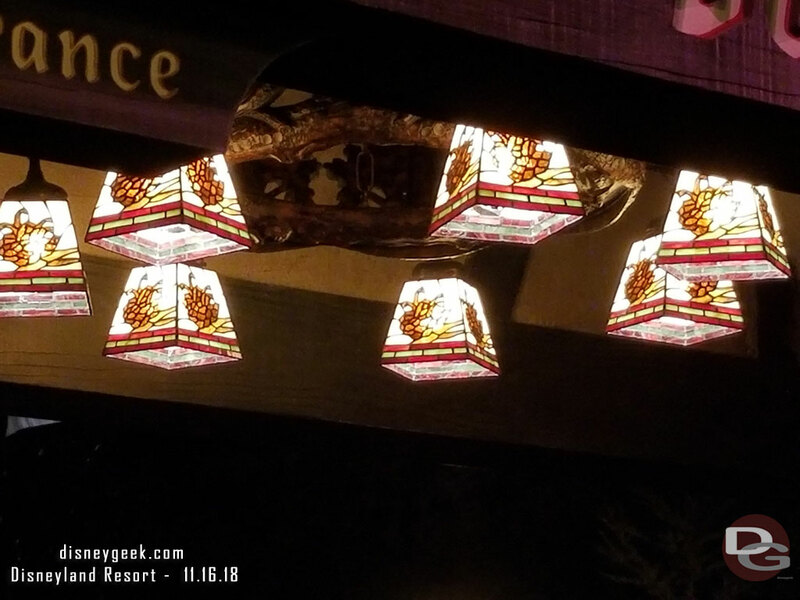 For additional photos and details from this trip you can check out the full Disneyland Update I posted on my site, https://disneygeek.com Also be sure to follow me on twitter @disneygeekcom for pictures from the parks. 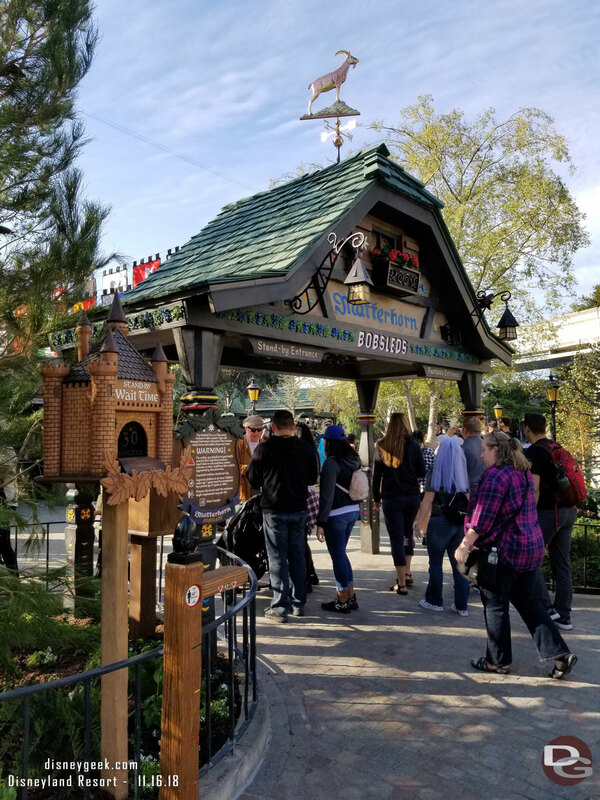 Want to stay up-to-date on all the Disney news? Subscribe to the AllEars® Newsletter! Jason is a guest contributor from disneygeek.com sharing pictures, thoughts and observations from his Disney travels with a west coast focus. He has been posting Disney-related content to his site since 1994. 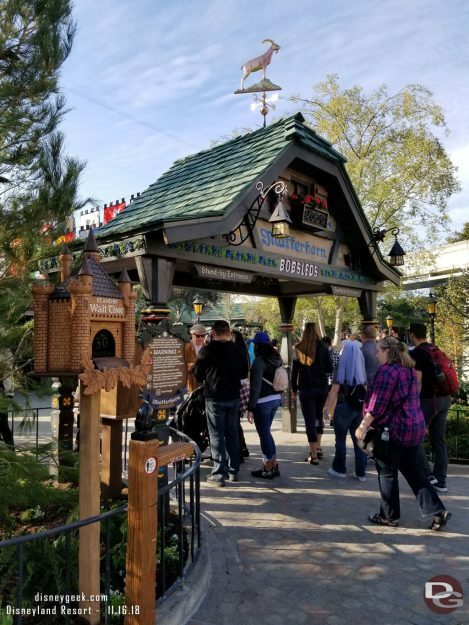 He has visited all 12 Disney theme parks over the years plus has had many other Disney adventures. He is a programmer by trade, and has helped with several projects here on AllEars.net over the years. Hi there, my husband and I will be visiting DL in January. It’s his first ever visit and my second. I have been once before back in 2010. 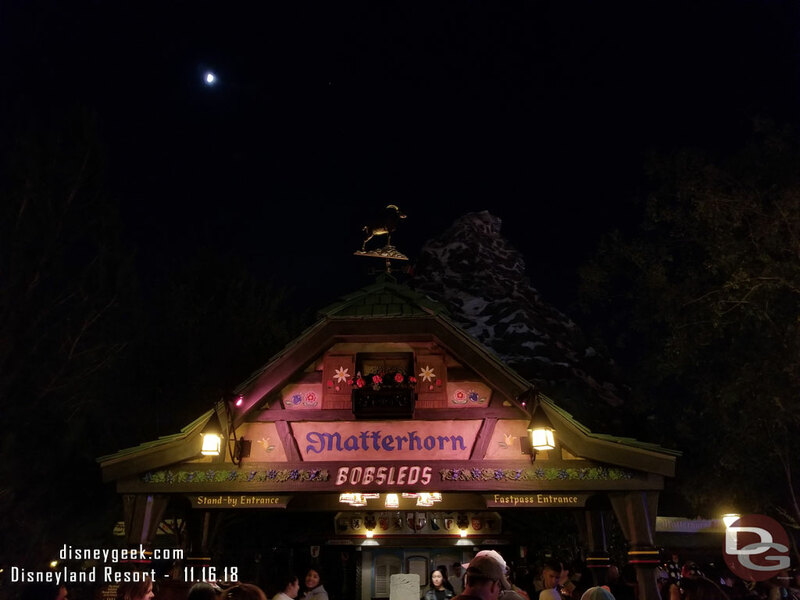 I remember reading many years ago that one side of the queue of the Matterhorn offered a better ride than the other side. Is this still true?